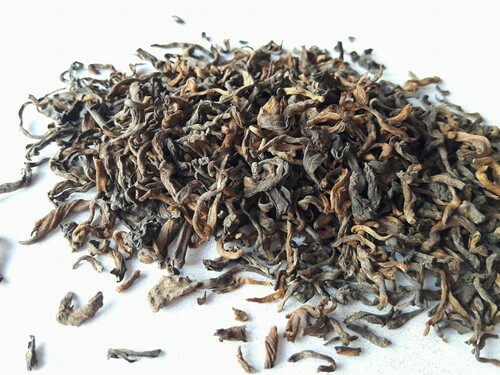 Description: Distinctive due to unusual post- fermentation factor Puerh tea now enjoy strong demands all over the globe. Main reason is healing properties, what according to chinese medicine can be achieved by regular consumption of Puerh. Other very important factor – only Puerh teas getting more ripe and smooth taste as tea getting in age. In China, Puerh has become something like commodity of investment for good profit in future. Traditionally loose Puerh can be compressed in various shapes according the order. Round, squre or nest like shapes are most common. Taste: Warm and earhty flavour which later trasforming as part of taste. Never becames bitter or pungent. Thick, smooth and little sweet taste combines very well with slight notes of matured fruit. Important points to brew Pu-erh Mini Tou Cha using Gong Fu Cha way of preparing tea. 1. Weight of tea – 10 g or two pieces of compressed nest shape tea on tea pot capacity 150ml. -	fifth brew – 1,5 min. Chinese common brewing metode: Take about 1 – 2 pieces of compressed nets shape tea on about 250ml glass or pot. Boil fresh water and pour over the tea. Wait about 2 - 3min till buds settles down then sip your tea slowly. After finishing cup more hot water shall be add to make second and third brew. You can make many more brews out, but our experiance says, that following brews should be allowed to infused more time as temperature of water falling down and much of tea contend has extracted in the previous brews.